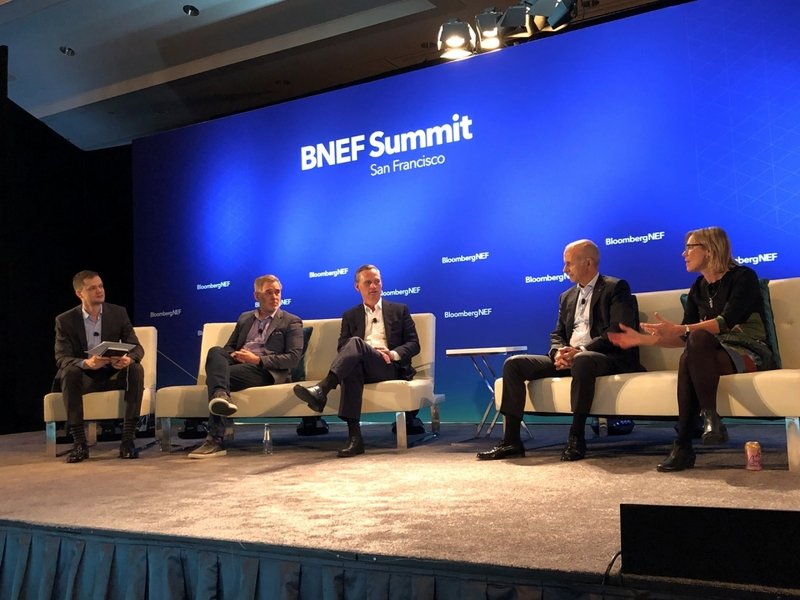 “Is California the New Center of Gravity for Mobility in the U.S.?” was discussed recently at Bloomberg’s Future of Mobility Summit in San Francisco. The session was led by Drew Murphy, Edison International’s senior vice president for Strategy and Corporate Development. Leaders of Chanje Energy Inc., an L.A.-based medium-duty electric truck manufacturer, and Icebreaker Ventures, a San Francisco venture fund that invests in future mobility and energy, also took part in the exchange. Ian Gardner, former president of Chanje, agreed. “California is the hub of this because there is so much talent that thinks so differently,” Gardner said. “People here have a perspective, ‘If there’s a better and different way to do it, let’s go do that.’” He contrasted the innovative local mindset toward vehicle electrification with more risk averse attitudes in other parts of the country. Later at the summit, Murphy also joined a panel discussion entitled “Business models for EV charging.” His fellow panelists were executives from EVgo, a network of fast chargers, Greenlots, an EV charging software and services provider, and EV charger manufacturer Efacec. Regarding Edison International’s involvement in building out EV charging infrastructure, Murphy said during the session that the company’s utility, Southern California Edison, is working with customers to ensure wise investments are made in places that make sense. SCE has installed more than 1,000 charge ports during the pilot phase of its Charge Ready program for passenger EVs and has proposed scaling up the program to add 48,000 chargers throughout the utility’s service area. “We’re seeing interest in electrifying fleets, starting with transit agencies in our area,” Murphy said, noting that SCE will soon be launching a $356 million program for electrification of medium- and heavy-duty vehicles. More than 400 leaders from the energy and transportation communities met at the summit to share insights on electrified transportation, shared mobility, autonomous vehicles and energy.